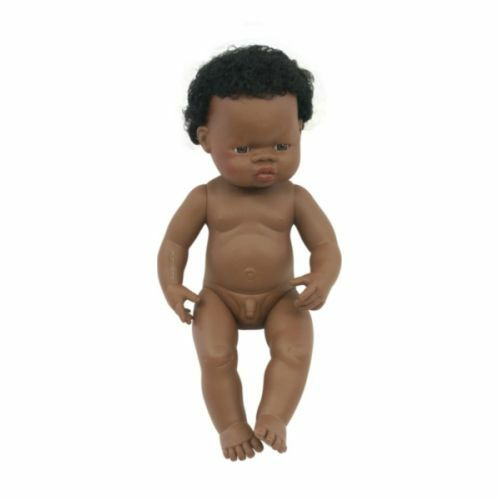 Catalog Home > African Boy Doll with Hair 15"
African Boy Doll with Hair 15"
Very well defined facial features help children identify the various races. Made of soft vinyl. Articulated head, arms and legs. Lightly scented body. Sewn on hair. 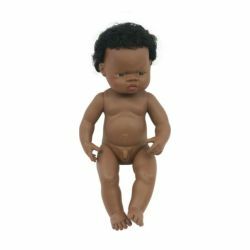 Anatomically correct dolls. 15". Infant–Toddler.